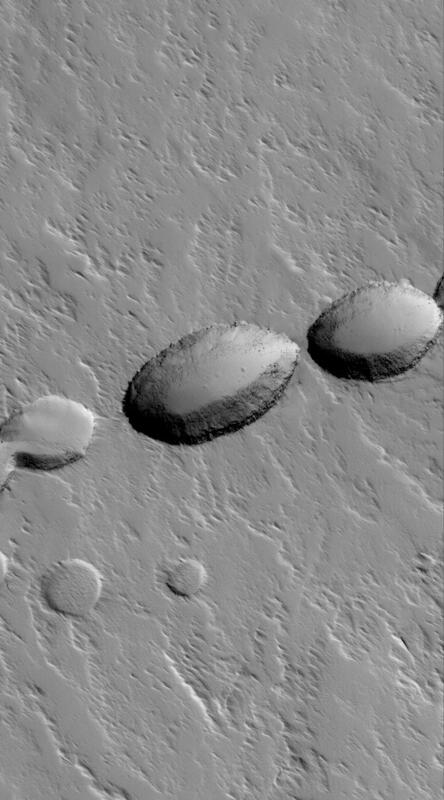 This Mars Global Surveyor (MGS) Mars Orbiter Camera (MOC) image shows a chain of collapse pits on the lower south flank of Ascraeus Mons. Pit chains such as this are the result of collapse along fault lines. 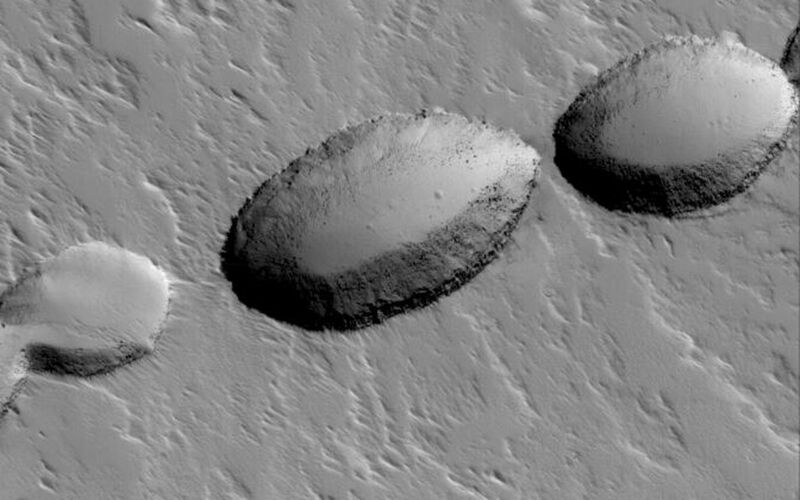 In this case, before the collapses occurred, the fault was a conduit for molten rock -- magma -- which erupted to form a suite of lava flows (now covered by mantles of dust) that can be seen radiating away from the pit at the center of the image.